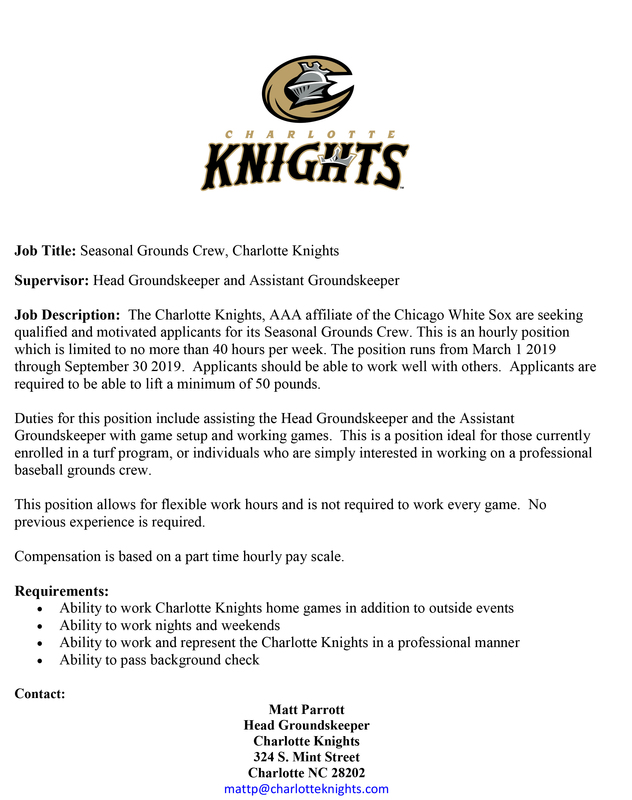 The Charlotte Knights are now hiring a number of seasonal positions for the 2019 season. The team kicks off the upcoming campaign -- their sixth in Uptown Charlotte -- on Thursday, April 4 at 7:04 p.m. against the Durham Bulls at BB&T Ballpark.. Currently, the Knights have seasonal positions available in Promotions, Grounds, Kids Zone, and Inside Sales. 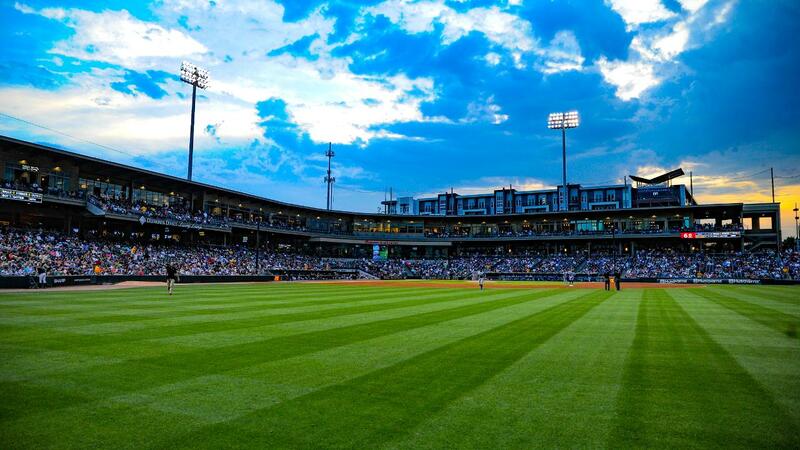 Additionally, Professional Sports Catering -- the Official Food Service Provider of the Charlotte Knights -- are in search of dedicated team members in a number of areas. KIDS ZONE - For more information about the Kids Zone position, please email Colby Barlowe at colbyb@charlotteknights.com.